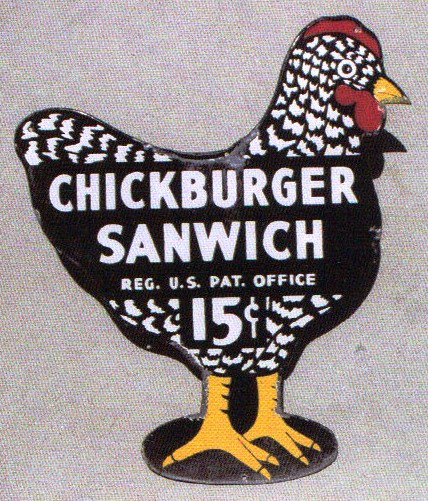 This is a die-cut Chickburger Sanwich porcelain sign. This particular Chickburger Sanwich sign is in the form of a black and white chicken with yellow feet. It reads, “Chickburger Sanwich, Reg. U.S. Pat. Office, 15 Cents”.